Fissa is a slang word that means ‘party’ in Dutch. Let me tell you this track by UFO! and Hoodie is definitely a party! This is one of the best moombahton tracks I’ve heard in a while. Both UFO! and Hoodie are known for their bangin moombahton and trap tracks, so when I saw these two did a collaboration I was excited. I love moombahton, and I wish there was more of it out there. Fissa had me hooked on it the first time I heard it. The track has a great bangin beat that gives the track energy and makes it pack a punch. I love how the two producers incorporated a lot of Spanish/Latin sounds into the track. Fissa makes great use of Spanish guitar, horns, and a piano which really make the track unique. I love the Spanish/Latin style and energy that UFO! and Hoodie gave this track; I think moombah is always better when it has Spanish/Latin elements in it. So many tracks nowadays (especially on the Beatport Top 100) sound so similar and are pretty much cookie cutter tracks. That’s something I’ve always loved about moombahton; it’s almost never the same, and artists make their moombah tracks unique. By using a variety of instruments and changing the tempo, Fissa definitely stands out from other moombah tracks. I really have no idea how UFO! and Hoodie aren’t more popular. Both consistently crank out trap and moombah tunes that really stand out compared to other artists. Plus both artists have a ton of talent in my opinion. I think it may only be a matter of time before both of them blow up and become huge. Listeners are always looking for something new and unique, and UFO! and Hoodie are there to do just that. Also, UFO! 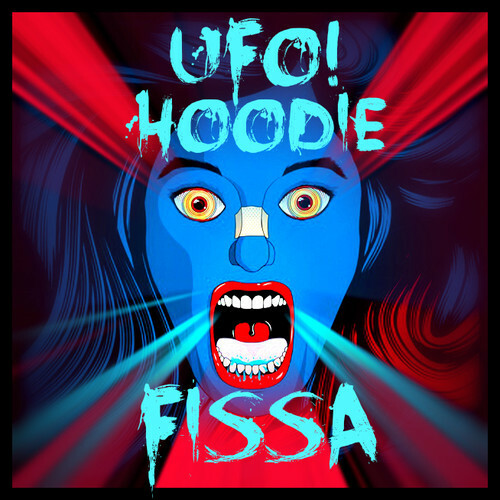 and Hoodie are awesome enough to give Fissa away as a free download so grab it from UFO!’s Soundcloud or Hoodie’s Soundcloud. Play this track loud at your next Fissa!